For some people, a family trip to Traverse City just wouldn’t be the same without the family dog. Fortunately, this is a pretty pooch-friendly town. The same natural attractions that make TC such a popular place for outdoor recreation – miles of forest trails, wide open spaces and long beaches, make it a popular destination for canine adventurers. Many local hotels and resorts (and even a few restaurants) are dog-friendly – although there are often conditions and sometimes fees attached. But all in all, it’s not an unreasonable place to be a dog on holiday. Pet-friendly travel is a growing trend in the tourism industry. Over 36 million families travel with their pets, spending an estimated $91 million per year. According to DogFriendly.com, a national clearinghouse for pet-owning travelers, about 35 percent of hotels in the U.S. and Canada now allow pets to stay in rooms with their owners. In Traverse City, as elsewhere in the U.S., pet-friendly hoteliers have traditionally been found among the more budget-conscious properties, but in recent years a few high-end resorts are also joining the movement. Federal health regulations don’t allow restaurants to have dogs in indoor eating areas, but some local spots let diners eat with their pets on their outdoor patios – I can think of the Dish Café, Pangea’s Pizza and Don’s Drive-In, and Art’s Tavern in Glen Arbor. And there’s no arguing with the generally pro-dog attitudes about most downtown businesses in TC. And of course, there are some places made entirely with pooches in mind – like the D.O.G. Bakery on West Front, which bakes fresh organic doggie treats. 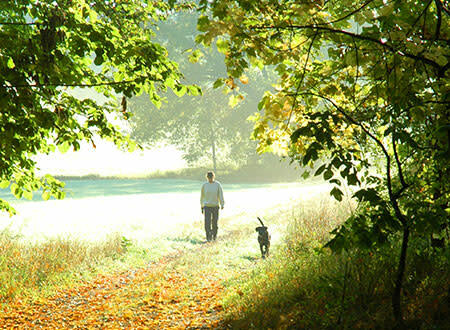 As far as outdoor fun goes, dogs can easily enjoy the area’s many woodland trails. Even within the city, most parks and trails are open to leashed dogs, and there’s a nice off-leash Dog Park at the corner of Division St. and Bay St, near Grandview Parkway. The park is equipped with two fenced areas, one for large dogs, the other for small ones. There are several doggie bags and trash cans available as well as benches. The big exception to this open-door policy is city beaches; they’re not open to four-legged beachcombers, and you can get a ticket for bringing your dog to the beach. On the other hand, the Sleeping Bear Dunes National Lakeshore is pretty welcoming to dogs. Pets are not allowed in certain areas of the park (the Manitou Islands, Dune Climb, backcountry campsites) or inside buildings -- and they are absolutely forbidden in piping plover nesting areas during nesting season.